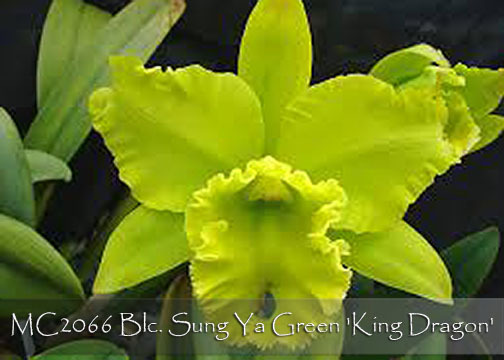 An absolutely “scent-sa-tional” green Cattleya ! Full form and delightfully fragrant lime green flowers are over 4” in size bearing huge ruffled lips and large ruffled petals. Capable of producing two of these amazing flowers per inflorescence, their heavy substance creates a showy and long-lasting display. 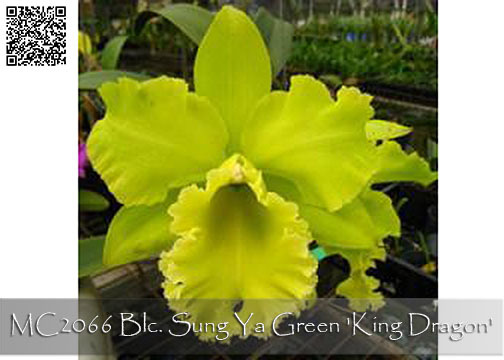 A great result from its famous and proven parentage, Rlc. Ports of Paradise ‘Emerald’, which received a highly coveted FCC/AOS, and Rlc. Memoria Helen Brown. Very Highly Recommended for the newest generation of cutting-edge greens !